The remote village of Pole had no knowledge of the wars raging in the heart of the kingdom. For them, the quiet of spear fishing, and a family meal were all that a full life required. Yet war came for them nonetheless. Joining the able-bodied conscripts as they filed passed their homes, the humble lancer Azwraith vowed to bring peace to his kingdom, and in so doing, his people. Placed with his kin in the vanguard of the final assault against the Dread Magus Vorn, the cost to his fellows was absolute. As the charging force battled toward the fortress, Azwraith alone among his kind remained standing, and he alone was able to infiltrate the keep. Focused and infuriated by the slaughter of his brothers, Azwraith bested each of the wizard's deadly traps and conjured guardians. Soon the simple fisherman arrived at Vorn's tower sanctum. The pair dueled through the night, pike to staff, as chaos raged below, and with a deafening cry Azwraith pierced his enemy. But the wizard did not simply expire; he exploded into uncountable shards of light, penetrating his killer with power. As the dust settled and the smoke of combat began to clear, Azwraith found himself standing among a throng of his kin. Each seemed to be dressed as he was, each seemed armed as he was, and he could sense that each thought as he did. Aware that his allies were approaching, he willed these phantoms to hide themselves, and one by one they began to vanish into nothingness. As the soldiers came upon the sanctum, they found the warrior that had bested the wizard. When they approached their champion, the lancer vanished. The pikeman who had stood before them was no more than another phantom. Phantom Lancer is a cloners hero that have so many clones in late game. You will attacks enemies using clones army that will kill enemies fastly. Enemies will likely to be afraid of you + clones because your number will be so many and will kill them instantly. Diffusal blade will helps you deal much more damage because it will gives +damage to clones too. Casts a magical spirit lance on a target enemy unit that damages and slows, while a Phantom is summoned to attack the unit. Azwraith's proficiency at spearing his family's meal of fish is proving quite useful in the battlefield. Your nuke you can use to harass enemy in lane, or to chase enemies later. This skill have a decent damage, plus this skill will create 1 illusion that can attack the opponent, the damage will be higher if your damage is higher. This skill helps chasing the opponent because it slows down the enemy. 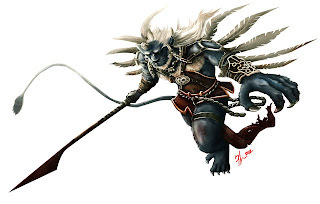 Renders Phantom Lancer invisible, while generating a duplicate image to confuse enemies. 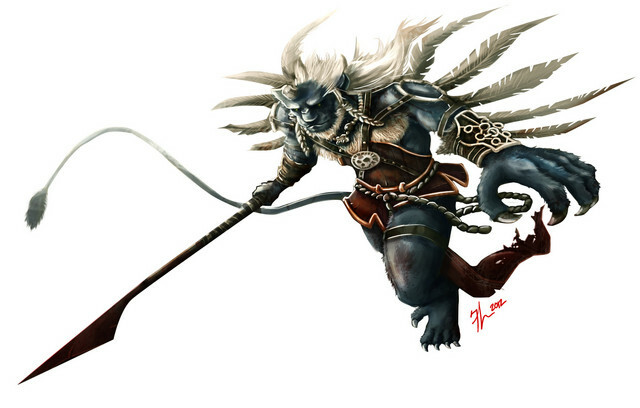 Dread Magus Vorn's death imbued the Phantom Lancer with the ability to blend with all spectrums of light. Your skill to trick enemies. You make 1 illusion and you will automatically become invisible. Enemies will think that the illusion is you and attack it, while you runing away from them. Nice skill to escape from a lose condition in a teamfight. Or you can use it while you are being surprise ganked. The weakness of this skill is a gem of true sight, dust, sentry ward, or heroes true sight ability like Slardar or Gondar. Be careful if you are being tracked! 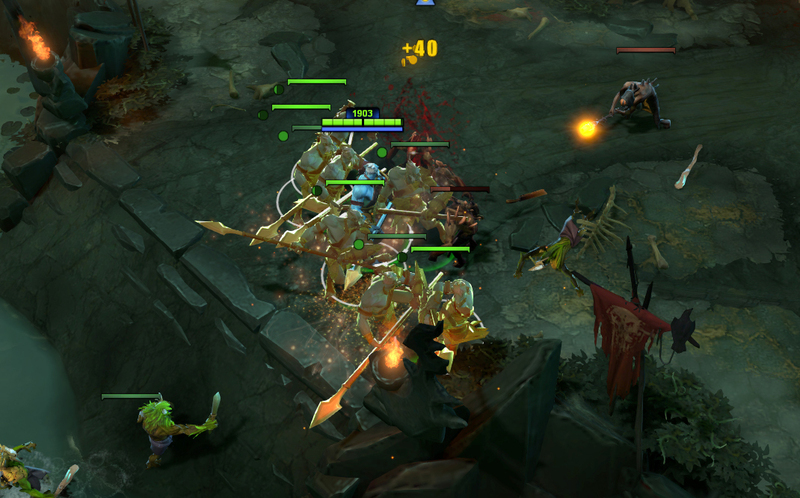 Phantom Lancer's attacks have a chance to create illusions to confuse enemies. Each of Azwraith's lance attacks feels like two from a normal warrior; or three; or four. You has a chance of creating illusions with each attack. This illusion will helps you deal tons of damage because of it's number is so many on the late game. The illusions will also confuse the enemy and makes them to afraid of you because they will see a large number of your illusions so they can't decide what to do, usually the easiest way for them is to run from you. With diffusal blade, your attacks will become so powerful and deal much more damage and burn mana so fast and also, you can purge the enemy. 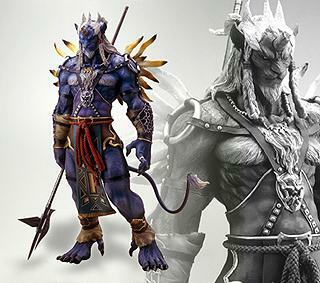 Phantom Lancer hones his abilities. Improves chance of Juxtaposing, and the Juxtapose illusions can now create their own illusions. Phantom Edge also increases Phantom Lancer's magic resistance. Azwraith accepts his fate, embracing his infinite army of phantoms. Makes your illusions can create more illusions. You will have so many clones that enemy is 90% will afraid of your large number. This will helps you in a teamfight and makes you one of the best carry on the late game. Why maxed Spirit Lance first? Spirit Lance is your main nuke. You need this for chasing enemies, harass enemies, and for teamfights. You should maxed nukes in early game because enemy's HP is still relatively low. Why take 2 Dopplewalk in early game? This will reduce mancost and cooldown for Doppelwalk that makes this skill usable in dangerous situation..
Why not taking Phantom Edge on early game? On early game, your attack speed is low, and not recommended to increase this because you should have'nt increase your Juxtapose because your skill point should be used for the more important Spirit Lance, your main nuke, and Doppelwalk for escaping if you are in danger. On early game, what you need is to farms as much as you can. You are a carry. Your job is to farm. You must gets items as fast as you can and hoping with your items you can dominate late game teamfights. You should last hits carefully and you can harass enemies once in a while by using the Spirit Lance. If you are being ganked, you should use Dopplewalk immediately. You can also farms in the jungle if you already level up your Juxtapose, because you need your clones to helps you tanks neutral's damage and alsp deals damages to neutrals. If you can earn gold so fast, your team will receive more benefits from you because you will deal more damage from the better items. You should continue your farms in mid game too. Try to earn golds as quickly as you can and gets your items as fast as possible. You need items, that's your nature, you are a carry. You can farms in jungle or in lane, and in ancient. The faster you get your items the better. If you are being ganked and you're alone, better use Doppelwalk to run away. You can also helps your friends for killing enemies using Spirit Lance and slows down the enemy for chasing. Your biggest part in a match is in the late game. Here you will be the main dps-er for your team. You have lots of illussions that deals tons of damages. You can will kill anyone so fast in a late game. You can deal tons of damages, don't be afraid of opponents, but the opponent who should afraid of you. Usually enemy will run if see too many of your images, he then will back to base so you can push and destroys their base. This builds focuses of the Diffusal Blade for your first damage item. It will makes all of your clones can burns mana too and also will deal more damage. Active: Destroy Tree - Destroy a target tree. Why Quelling Blade? Makes you easier to lasthit every creeps. Why Stout Shield? To tank damages in early game, this items will be very helpful. Why Ring of Aquila? It gives you mana regen. You need much mana for Doppelwalk and Spirit Lance. This items also gives damage you need to las hits creeps. Why Power Threads? It will gives you attack speed, thats what you need, attack speed and also damages. Power threads is also a flexible shoes, you can change it to STR, AGI, or INT for what you need. STR needed for survivability, AGI for damages + attack speed, and INT for mana. Why Diffusal Blade? It gives you mana burn and additional attack damages, mainly for your clones that also gets the bonus damages from this item +20 or +36 if the diffusal is already upgraded. This item also gives you purge that will slow down enemy and makes him easier to kill. Can be upgraded to make it stronger. Why Heart of Tarrasque? Makes you tanky. Tarrasque is an alternative of BKB. You can choose this item or Black King Bar, if the enemys is more physical attack, I recommend you to buy this. Nice for survivability. Passive: Mini-Bash - Gives a chance to minibash and deal bonus damage. Passive: True Strike - Prevents your attacks from missing. Good Damage. It will give you 100% hit rate. Good Damage. Gives you stunning ability. Nice item for a carry. Why Power Threads? It will gives you attack speed, thats what you need, attack speed and damages. Power threads is laso a flexible shoes, you can change it to STR, AGI, or INT for what you need. STR needed for survivability, AGI for damages and attack speed, INT for skills. Why Vanguard. Will reduce physical attacks damage. So good for a carry to survive in every situations.. Really helps in a teamfight against some physical attacks. Why Radiance? Helps yo to deal some constant damage in teamfights. Also helps in farming creeps. Your illusions can deal 45 damage per seconds too. Very nice DPS item. If he use his Replicate to you, his Replicate can create clones too with each attacks, so he will makes lot more clones and makes lots of damages. He will be so happy with tons of your clones. he will then have so much damage from his ultimate which based on the number of enemies to banish you & your clones army.